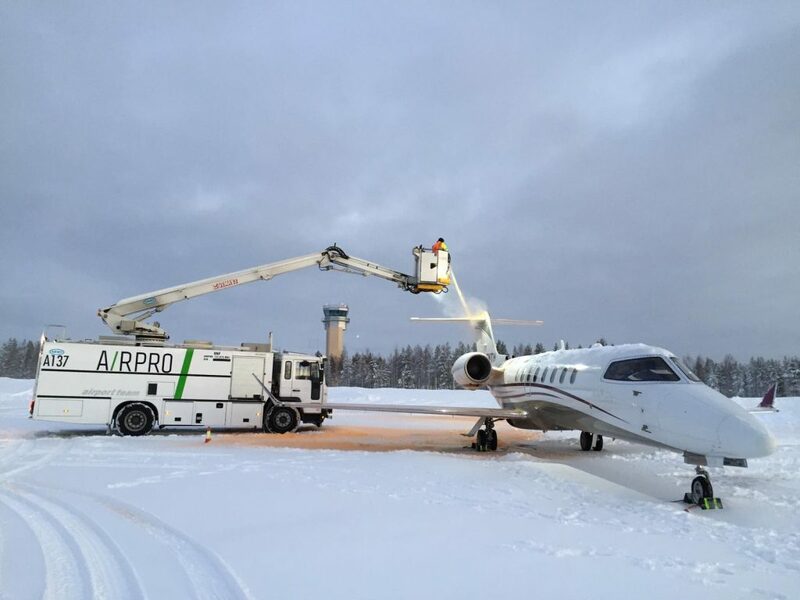 Safety is one of the most important objectives in aviation industry; therefore de-icing an aircraft plays a crucial role during the winter months. 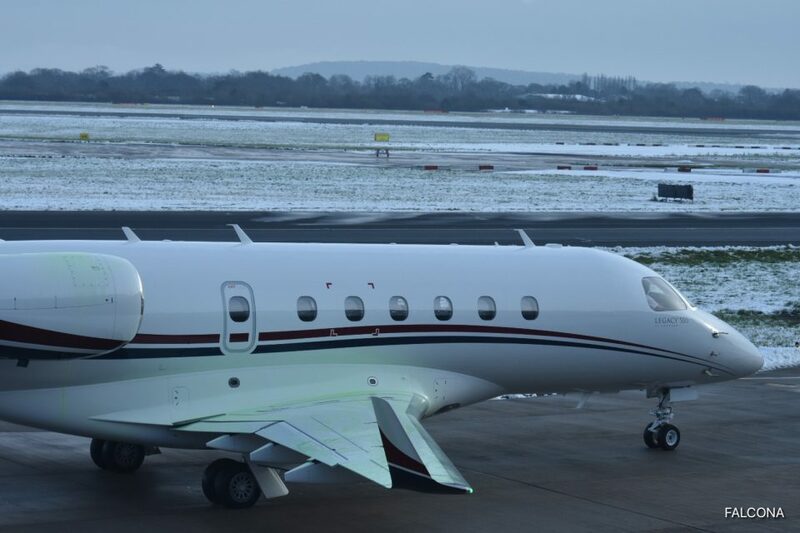 When you decide to book a private jet flight, especially during cold weather which we are experiencing more these days, it’s important that your aircraft is safe to fly. Winter weather is hitting hard and fast in parts of the country right now. Sub-zero temperatures, snow and ice means that planes have to be de-iced by law, before taking flight. Why is removing the ice and snow build up so important? A plane’s wings and rear tail are engineered with a very specific shape in order to provide proper lift for flight. Any change in their shape can cause crucial issues during take-off. If the snow or ice disrupts the flow of airflow, it could hinder the ability to lift the aircraft. De-icing isn’t just about the wings and tail either. The spray is also focused on the nose, where radar equipment sits. Whenever snow, ice, or even frost has accumulated on the aircraft, the pilots call on the airport de-icing facility to have it removed. De-icing fluid, a mixture of a chemical called glycol and water, is generally heated and sprayed under pressure to remove ice and snow on the aircraft. While it removes ice and snow, de-icing fluid has a limited ability to prevent further ice from forming. If winter precipitation is falling, such as snow, freezing rain or sleet, further action needs to be taken to prevent ice from forming again on the aircraft before take off. A build up of ice or snow on these surfaces not only adds extra weight, but most importantly, it also disrupts the flow of air, which reduces lift. It can also disrupt the movement of the wings’ flaps and ailerons. The only extra cost not included in your contract is ground de-icing charges (invoiced to you at cost). De-icing costs vary depending on the amount of fluid required and the airport. 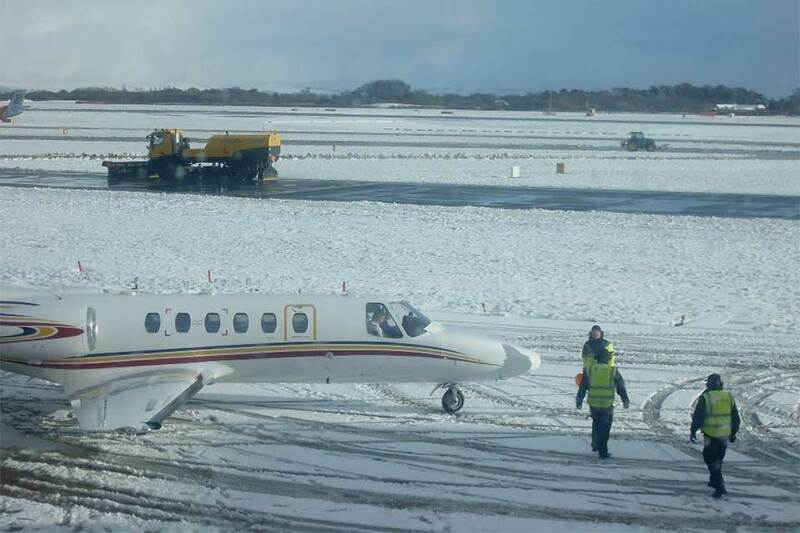 If de-icing is then required, we will contact you post flight to arrange payment of the cost price post flight. De-icing fluid is expensive. Each airport will have its own price for applying de-icing fluid. 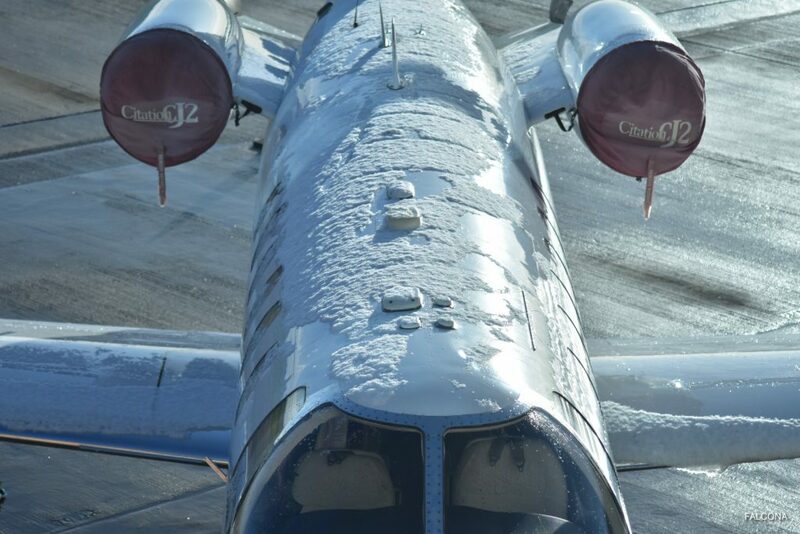 To de-ice your aircraft varies from airport to airport and the type of aircraft chartered. 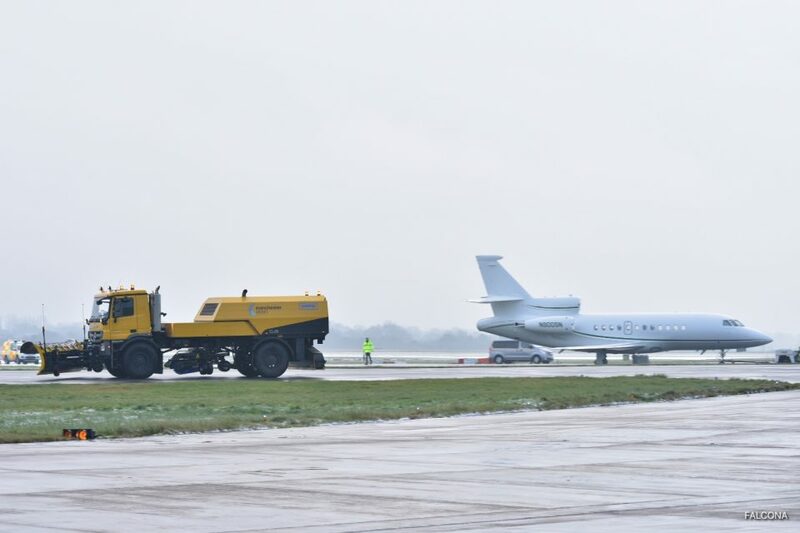 Once it has been decided by the crew to de-ice the aircraft, they will notify the operations team at Manchester to book them in over at the main terminal, where the aircraft will be de-iced. 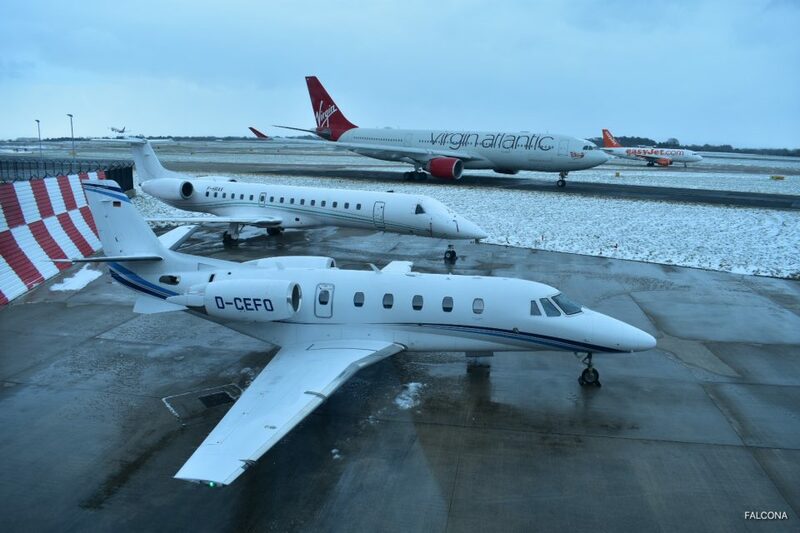 There is no de-icing facilities at the private jet terminal in Manchester. So once booked you will taxi over to the main terminal where the aircraft undergoes the process of de-icing. Once done the aircraft will either just taxi to the runway with passengers or return back to the terminal to pick up passengers and then depart. As you can imagine de-icing will be a lot more expensive on a Gulfstream G650 than a Citation Mustang. 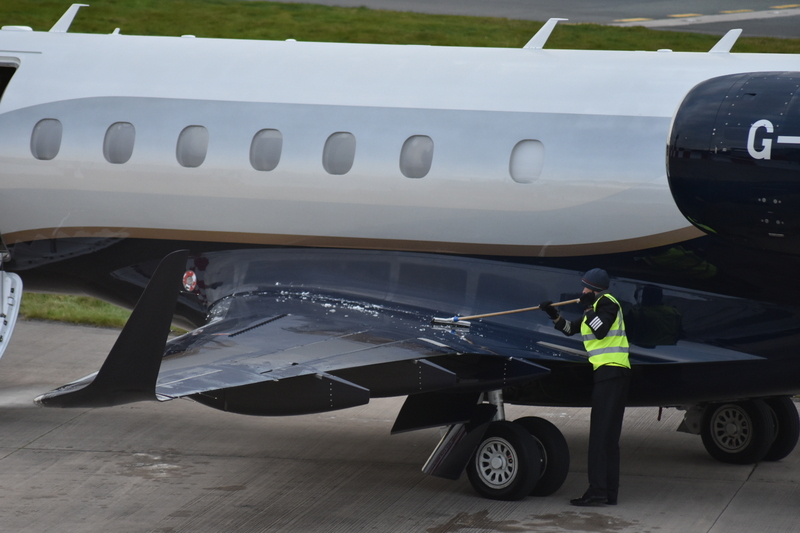 We have had a client who was flying from Manchester to Paris on small 4 seat Cessna Citation Mustang, after speaking to the crew and looking at the aircraft it was obvious that the aircraft needed de-icing before departure. The extra costs for applying the de-icing on the aircraft was £1,5000 which was charged to the client after the flight had been completed. This is a small charge for a Mustang and you can expect to pay up to £10,000 for a large jet such as the G650. Before you fly ask if your aircraft can be kept in the hangar overnight, a much cheaper option than de-icing. You could also fly later in the day instead of the first thing in the morning, which is generally the coldest time to fly.